A card shop in Freeport was robbed by a man wielding a knife. Freeport, NY - September 15, 2014 - The First Squad reports the details of a Robbery that occurred at 7:00am on September 15, 2014 in Freeport. According to Detectives, an unknown male subject entered the Curiosity Card Shop located at 193 Atlantic Avenue and approached the fifty-nine year old female victim. The subject asked the victim for candy but then placed a large kitchen type knife to the victim’s neck and demanded money. The victim fell to the ground and the subject left the scene in an unknown direction. The victim’s pocketbook containing her wallet and personal papers were reported missing from the scene. The victim was transported to the Nassau University Medical Center for evaluation. The subject is described as a male black, 5’6”-5’10”, wearing dark clothing and a dark hat. 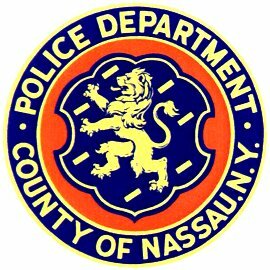 Subject: LongIsland.com - Your Name sent you Article details of "NCPD: Card Shop Robbed by Man with Knife"